Designed by us here at Grizzly, these new resaw fences are an upgrade to the standard fences and allow users to alternate between a taller and shorter fence within seconds. The removable extruded resaw fence allows you to lower the blade guides closer to the shorter fence for doing normal work. These fences can be purchased as a retrofit kit for existing Grizzly bandsaws as well as a complete fence system for just about any brand of saw with proper table dimensions. Patent Pending! This is a complete fence system for folks that want to completely replace their existing (or non-existent) fences for their bandsaws. 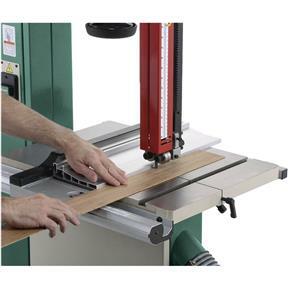 Measure the front to back depth of your bandsaw table and use that measurement as a guide to choose the model below. 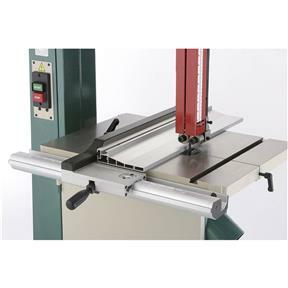 Fits saws with 19" table front to back. For G0514. 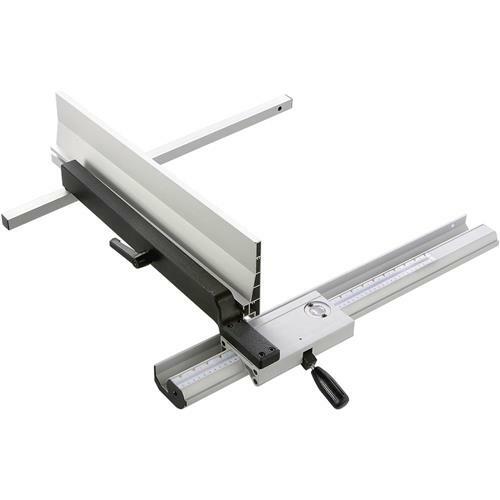 This is a great value and a very well made product designed by Grizzly, that I will be adapting to my newly purchased G0807 18 inch metal cutting band saw. It is likely the only fence that can be adapted to this metal band saw. One of the Grizzly tech's recommended two possible fences for my particular saw, this fence (G0514) and Fence # H7529 with a guard rail part PO556181. Only the G0514 would fit and is far superior in quality to the heavy robustly made H7529, there is no way to fit the guard rail unless you make blocks to adapt it. The Grizzly tech was giving his best advice and I do not fault him that the H7529 and guard rail part did not fit. So in summary the G0514 fence is a great fit on the G0907 table that measures 22 1/8 wide and 19 7/8 length.